If you have lost your teeth, whether due to injury, tooth decay or gum disease, dentures may be for you. At Crosspoint Family Dental, we offer services for dentures in our Chelmsford, MA area office that can help restore your way of life, with day to day functions such as eating and speaking and help to restore your confidence by improving your smile and appearance. Conventional Full Dentures – This is when all of the natural teeth are removed and the mouth tissue is given time to heal before the dentures are put in. It could take a few months for the gum tissue to heal and during this time, you would be without teeth. Immediate Full Dentures – Before natural teeth are removed, we take measurements and have dentures fitted for your mouth. Once the teeth have been removed, dentures are immediately placed. While you do not have to spend any time without teeth, follow up visits and adjustments are needed as your mouth heals. Once your jaw bone is fully healed, your dentures will need to be tightened. Partial dentures are another option when natural teeth remain. This is similar to a bridge but is not a permanent fix. This consists of replacement teeth attached to gum colored plastic base that is held in place in your mouth. If you are choosing a fixed partial denture, the denture is cemented into place using adjacent teeth for support. 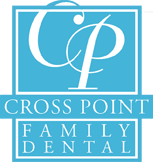 If you are looking for a dental practice that does dentures in the Chelmsford, MA area, make an appointment with the reliable team at Crosspoint Family Dental. Located at 850 Chelmsford Street in Lowell, MA.